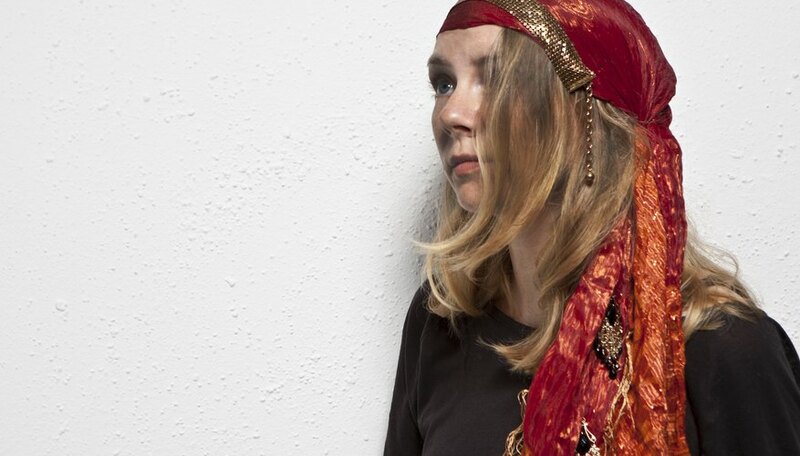 Gypsy scarves are a colorful and unique accompaniment to an edgy outfit, themed costume, or Halloween costume. It can be worn with dresses or a casual outfit of T-shirt and jeans, and it can provide warmth and style at once. Choose a brightly colored or patterned fabric, preferably with fringe on at least one of the sides. It does not have to be a particular fabric, but one that is not too thick or fuzzy. Common gypsy colors include turquoise, violet, magenta, gold, red and green. Cut it to the measurements of 4' x 4'. It should be large enough to cover your shoulders and keep you warm, but not too large to tie around your head. Add embellishments to the scarf if you desire. Use the fringe to loop bells through and tie a small knot, or use the needle and thread to attach beads, jewels, feathers, or other objects to the gypsy scarf. You can also use the fabric glue for this part. Let dry. Fold the scarf in half diagonally, creating a triangle. 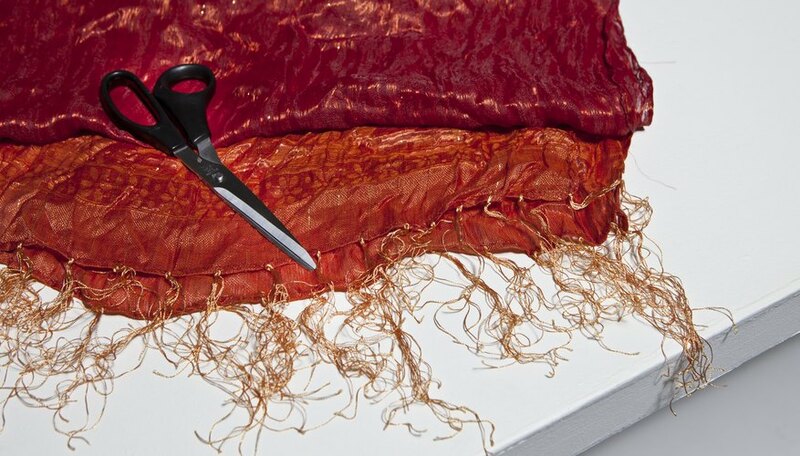 Lay the longest edge of the triangle, where it is double the fabric but with no opening, along the hairline on front of the head. 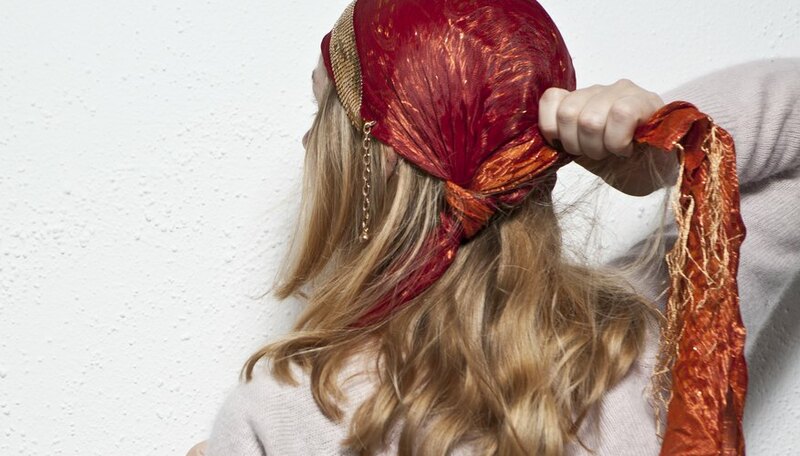 Securely wrap the scarf, following the hairline, down to the nape of the neck. Grab the top triangle piece, hanging off the top part of the head, and bring it down to meet the bottom two pieces that you brought together at the nape of the neck. Gather all fabric pieces in your hands and twist to create a knot. Twist the fabric and tie it into a knot to make it secure on the head. If desired, you can experiment with different knots, large and small, or just keep folding the scarf until it is secure and the tail is hanging out. It should cover your entire head except for the back, where the triangle will be hanging down, almost onto the tied knot. 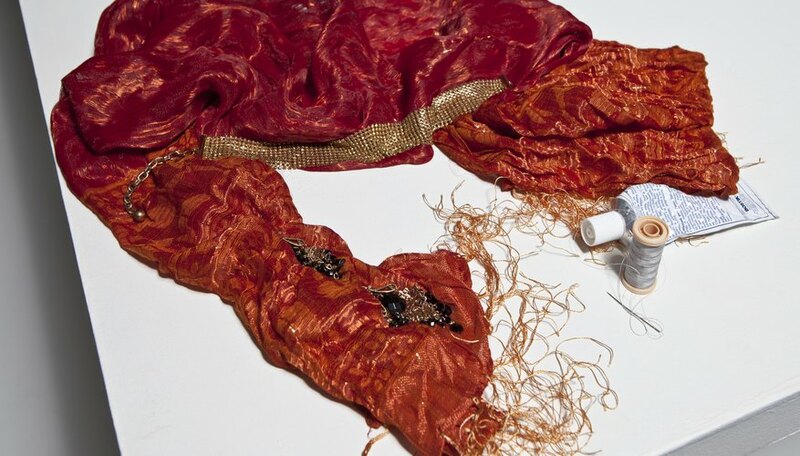 Wash your gypsy scarf by hand, especially if you added embellishments to it.